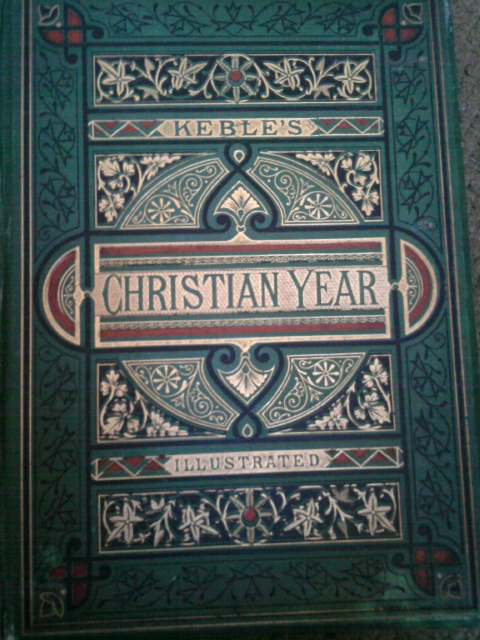 Recently I was delighted to purchase a beautiful illustrated edition of The Christian Year from a National Trust bookshop. I don’t suppose many people (outside academia, at least) have read John Keble’s The Christian Year (1827), and certainly some of it can be a little hard going, but it’s one of those books that is too easily under-estimated. Keble held the Chair of Poetry at Oxford (largely due to the success of The Christian Year) and his book was extremely popular. 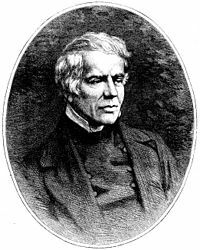 Keble was one of the Tractarians, so called because they produced Tracts for the Times, a kind of commentary on the state of the church and religious faith at the time. The Tractarian, or Oxford Movement, was a High Church development in mid-nineteenth century Christianity, whose active members included John Henry Newman, Edward Bouverie Pusey, and John Keble. Christina Rossetti and Charlotte Yonge were two literary adherents, and may well have been attracted by the literary aspects of the movement, including Keble’s book. Indeed, Christina Rossetti is known to have owned a well-thumbed copy for which she drew her own illustrations. There is no doubt that the book was hugely influential. It has been described as one of the most popular books of poetry of the nineteenth century, and it seems as though most Victorian households must have owned a copy. Yet it is now all but forgotten. Perhaps this is partly due to its intensely religious nature (unsurprisingly, given the title!) – the book features poems which celebrate the events of the Christian calendar according to the Book of Common Prayer. Its liturgical nature and solemnity of its verse perhaps makes it unappealing to modern readers, but in its significance both theologically and historically, it’s worth a look. Also, the poetry is often appealing and moving, though it also occasionally lapses into greeting-card-style rhymes. The nature of Tractarian writing encourages the reader to respond actively, rather than passively taking it in. This is an approach used by Christina Rossetti, whose devotional poems invite the reader to join her in prayer or penitence; her poems, like Keble’s, require careful reading, re-reading, unpacking and understanding. For Keble, Rossetti and other Tractarian writers, the idea is to encourage spiritual growth in their readers, rather than ‘mere’ pleasure in the text. Keble wrote that ‘It is to the awakening of some moral or religious feeling, not by direct instruction (that is the office of morality or theology) but by way of association, that we would refer all poetic pleasure’. 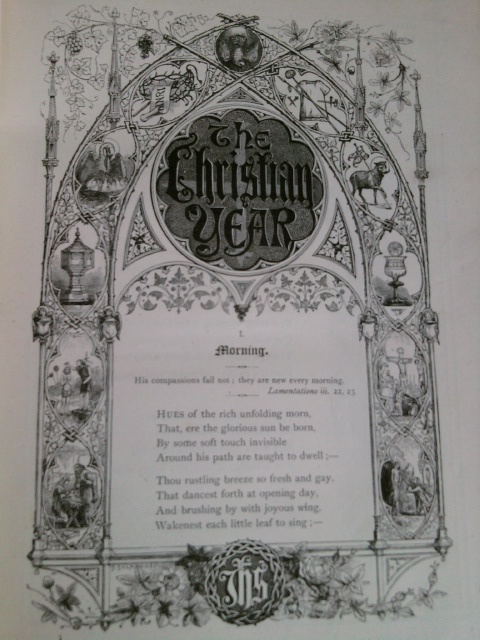 You can read more about The Christian Year on the Victorian Web, or read the text of the book here. Over the dusky heaven and bleak hill-side. To regions farthest from the fount of day. Reading ‘The Christian Year’ makes me wonder what has happened to the reading public in less than 200 years. Or actually, less, since its real surge in sales seemed to come after Keble’s death. Did they sit round at night reading this stuff? When they’d gobbled up the latest chapter of the current Dickens, did they think, let’s have some mawkish awkward poesy instead? I am baffled. Hi, thank you for your comment! Certainly the reading public has changed a great deal but I’m not sure it’s the contrast between Dickens and Keble which marks it! Keble’s poetry was intended to be morally and spiritually edifying, but it’s also (mostly) reasonable poetry. Admittedly it’s hardly Dickens, but then, readers read what they read for a range of reasons.